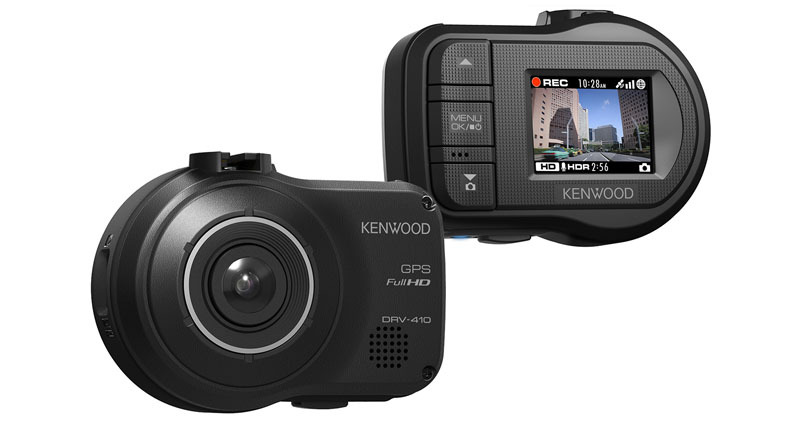 The DRV-410 gives you 3 megapixel recording (1296 x 2304 pixels) and accident avoidance features. 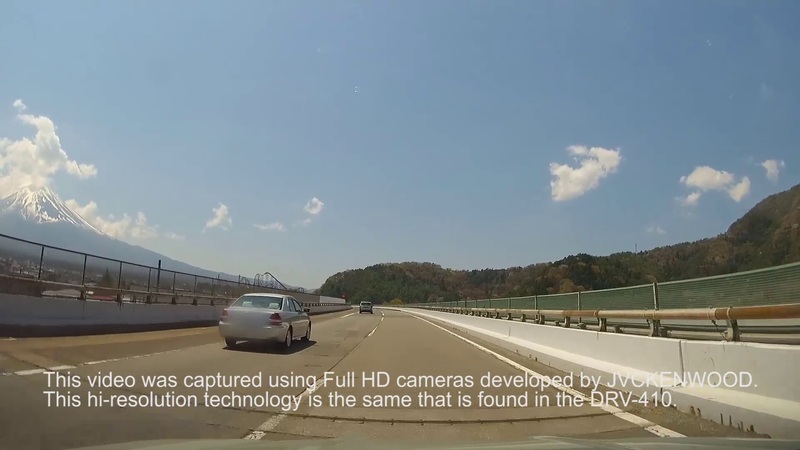 3 Megapixel recording captures clear video even while driving. 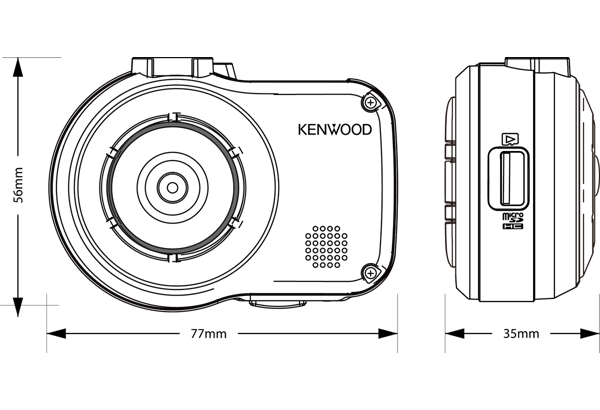 Easily records clear images in dark or well lit settings without underexposing or overexposing the image. Equipped with the latest in accident avoidance sensor technology. Sensors detect the distance between your car and the vehicle ahead of you, and if a safe distance is not maintained a warning will sound. Collision Avoidance works at 20 MPH and up. Detects the lane your vehicle is in and alerts you with a warning sound when the vehicle drifts from the current lane. Lane Departure works at 40 MPH and up. Lane Departure Warning works when a vehicle changes a lane. When your vehicle is at a full stop and the car in front of you starts to move forward, the departure delay warning sounds if your car fails to move forward.The system will also provide warning if your vehicle starts to move backward. (The accident avoidance features are for providing safety support to drivers and in way, shape or form meant to substitute a drivers full attention to the responsibilities of driving. The features do not provide notification of all hazards encountered on the road. Recording starts as soon as the vehicle starts.In continuous recording mode the oldest files are deleted when storage capacity has been exceeded. Pressing the Rec button on the device takes the camera out of continuous record mode.The recording time of manual recording is 10 seconds before the manual recording button was pressed plus the time set for "Manual Recording Time." When an event such as a collision occurs during continuos recording "Event Recording" automatically starts record of the event.The recording time of event recording is 10 seconds before the event was detected plus the time set for "Event Recording Time." When the vehicle is parked and turned off, parking recording mode becomes active.If the vehicle is subject to a collision, or similar event, power is supplied to the camera and parking recording starts. When recording ends, parking record status resumes. The DVR-410 is equipped with a G-Sensor designed to detect a collision, and GPS that records speed and latitude and longitude. 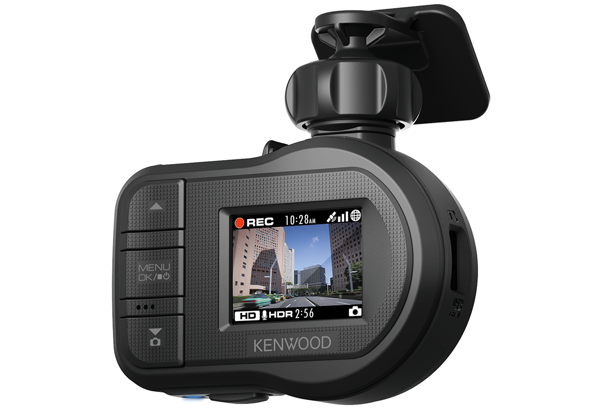 KENWOOD Drive Reviewer is a PC/Mac application that displays video recorded by the DVR-410. 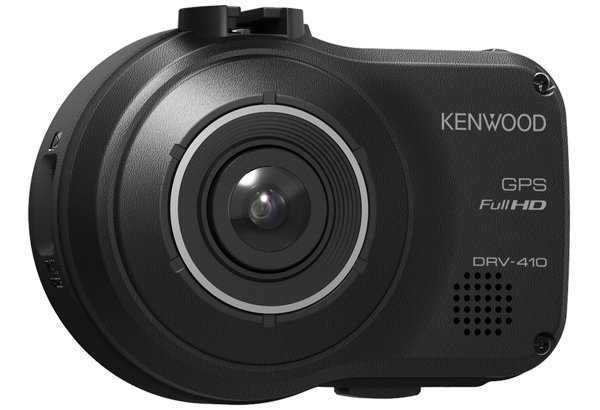 The KENWOOD Drive Reviewer software can be downloaded from the JVCKENWOOD website.